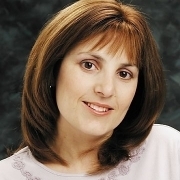 Liza Wiemer – YA Author of HELLO? A uniquely written story about the beauty of human connections told through incredibly vivid characters. It's one contemporary YA fans shouldn't miss. Through love and friendship, choice and fate, the mundane and the divine, Liza Wiemer expertly weaves together five incredibly relatable teen stories. As the characters struggle to reconcile the past and the present, readers take a journey of both heartbreak and hope. With it's authentic voice and lyrical writing style, Hello? is a strong addition to the genre of contemporary YA. I absolutely loved it! A beautifully written and uniquely told story about love, loss, learning how to let go and finding hope again. HELLO? is a captivating story about fractured families, authentic friendships, and the way lives connect, impact, and transform each other. This book is so originally crafted and beautifully executed it will stay with you for a long time. Liza Wiemer's words evoke the heart of the Door County, Wisconsin setting and allow the story’s honest portrayal of five teens to resonate far beyond. Through the intertwining formats and perspectives, elements of family, grief, faith, memories, friendship, love, fear, and hope seem destined to combine in a profound way. A remarkable YA debut. In her YA debut, Liza Wiemer has officially launched herself on the map with grace. Hello? is a powerful and brilliantly woven story of love, loss, and human connection that makes you believe in the world again. It owned my heart from the first page to the last. One of the most original books EVER. Heartfelt and honest, Hello? will have you rooting for its characters until the very last page. A sensitive and deeply-drawn portrait of five teenagers whose lives intersect in ways both obvious and surprising. Liza Wiemer's characters are so real they leap off the page. 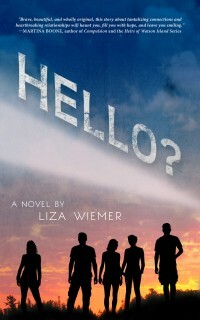 In Hello?, Liza Wiemer beautifully weaves together a moving story told by authentic characters, tackling important subjects that will deeply touch the reader. A triumph of writing and humanity...the characters stayed with me long after I read the book. Liza Wiemer’s Hello? is a poignant tale of friendship, love, loss, and resilience. Told from multiple points of view, the richly drawn characters offer a powerful example of how connected we all truly are. This book will compel readers to consider the existence of destiny. Hello? grabbed me from the first page and pulled me right through to the gorgeous ending. Tendrils of destiny and healing weave together through this fearless exploration...of love, friendship, and family. Deeply moving! During the 1960's, Carole King released an album entitled Tapestry – a masterful weaving of story and song. A half-century later, author Liza Wiemer has mirrored that blend by wonderfully stringing together several forms of narration, one specific to each of her characters. Hello? is a truly remarkable and memorable story communicated in a superbly envisioned way.